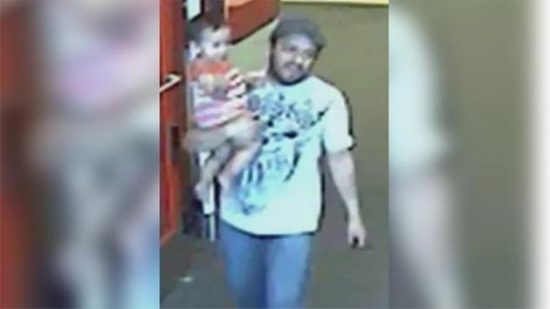 Philadelphia Police are looking for a man who stole a customer's cell phone from a South Philadelphia Target store while carrying a baby. It happened around 6:40 p.m. on May 3rd at the store on Mifflin Street in South Philly. The victim was standing at a counter listening to headphones on display and placed her phone on the counter. She then walked away leaving her phone behind. A short time later, the suspect approached the counter and began to listen to headphones. He handed the baby to a female companion, picked up the cell phone, and walked away. The man was seen walking out of the store again carrying the baby. The entire incident was caught on surveillance video. If you have any information contact South Detective Division at (215) 686-3013. Philadelphia Police are looking for a man who approached five young boys at a skate park last week and had them pose for photographs of their feet. It happened on May 10th around 7 p.m. at Paine's Park on 24th Street near the Art Museum. An unidentified man offered to buy the kids soda if they let him take photographs of their bare feet. The boys, ages 9-11, went with him behind the Art Museum where he put them in various poses. He promised them money if they met him there the next week. Police describe the man as a black male between 30 – 60 years of age, 5'7” to 6'1”, with acne or another skin condition on his face. 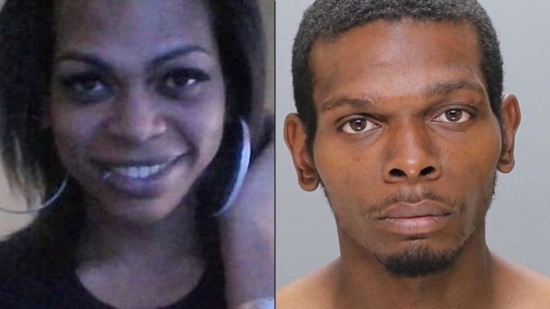 Philadelphia Police have made an arrest in the early Monday morning killing of a transgender woman in North Philadelphia. 31-year-old Raheam Felton have been charged with killing 21-year-old London Chanel. Chanel was stabbed in the back and neck during an argument with Felton in an abandoned North Philly home on the 2200 block of Ingersoll Street around 12:40 a.m. Felton and another person tried to resuscitate her and called for help. She died at Hahnemann University Hospital just after 1 a.m. Felton is charged with Murder and Possessing an Instrument of Crime. Police say the crime was motivated by an argument, not because the victim was transgender. NFL owners vote to move extra-point kicks back to 15-yard line. 2-point conversions remain on the 2-yard line. Defenses can now return turnovers on 2-point conversions to score two points. NBA Draft lottery is tonight at 8:30 pm. Nerlens Noel is representing the 76ers. The Sixers will at least be walking away with at least a Top 5 pick tonight after finishing 3rd from last this year. There are slim chances they could also pick up two more Top 11 picks. If the Lakers' pick falls out of the Top 5, Philly gets it. If the Heat's pick falls out of the Top 10, Philly gets it. The chance of getting the dream scenario of picks #1, #6, #11 is 0.2%. #OneSixEleven is trending.